Okay, folks, time is of the essence on this one. All entries are due by Monday. 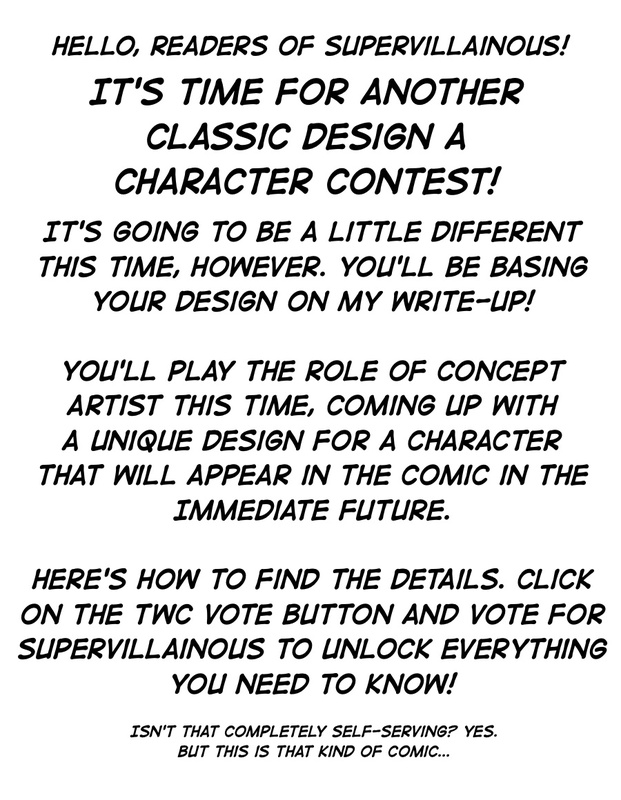 Vote for Supervillainous on Top Webcomics to get all the details. The button’s right next to the comic. Good luck, and have fun with it! As usual, the winner will see his or her creation right in these famous four panels! 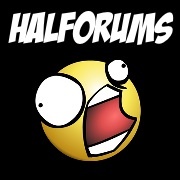 You can leave comments by clicking here, leave a trackback at http://supervillainous.spiderforest.com/comic/time-for-another-contest/trackback/ or subscibe to the RSS Comments Feed for this post. Too bad I can’t draw. If I didn’t approve, this comment would be word-for-word quoting the contest terms. I’m judgey, yes. Also, I have no art skills, so I’m not even trying to enter. Art skills really don’t make a difference here. Send a badly-photoshopped collage. Send a stick figure. It’s on me to interpret it into the new character, and I am more than up for the challenge. Worth noting as an ongoing thing, mentioning to vote in your release/news posts below the comic would prolly increase the regular vote count. I always click the TWC link if it’s put up somewhere I read normally, but if it’s tucked off to the side I ignore it like an advertisement. I just have a shell script which opens the comics’ voting pages every day. How ever you design the guy, he needs this one important item. Chain saw claws. A custom made chain saw gauntlet that has three rusty chain saws that point out of it like Wolverine’s claws. Oh, and they are on fire. If that is a bit over the top, then perhaps the chain saw flail would work. Its a chain saw… Attatched to the bottom of a fire ax by a chain… Like a flail. I imagine him using fire ax heads like throwing stars. I also imagine him as a big wolf-bear hyrbid with the body shape of a burly trucker for… reasons. Failing that, I see him as the Brawny paper towel guy gone rampent. Have fun with the villain design!